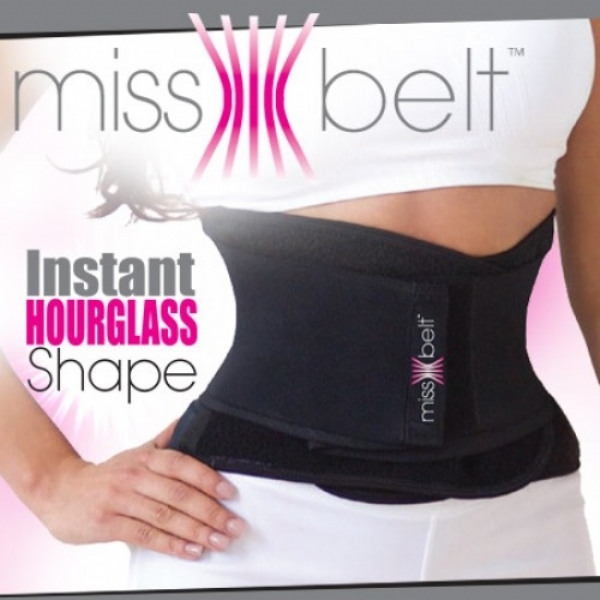 Look two sizes slimmer with the As Seen On TV Miss Belt. Look two sizes slimmer with the As Seen On TV Miss Belt. The exclusive Miss Belt Adjustable Waist Trimmer Fabrics uses SBELT Compression Technology so you can get that instant hourglass shape. Wear it for any activity: Home Working Walking At the Gym Shopping Relaxing Jogging Biking and more! TERRIBLE! Worst waist trainer ever!!! It&apos;s bulky, cheap material and SUPER uncomfortable!!! You will definitely see it under your clothes. It&apos;s not even made for working out in... It serves absolutely NO purpose.. WASTE OF MONEY!! !